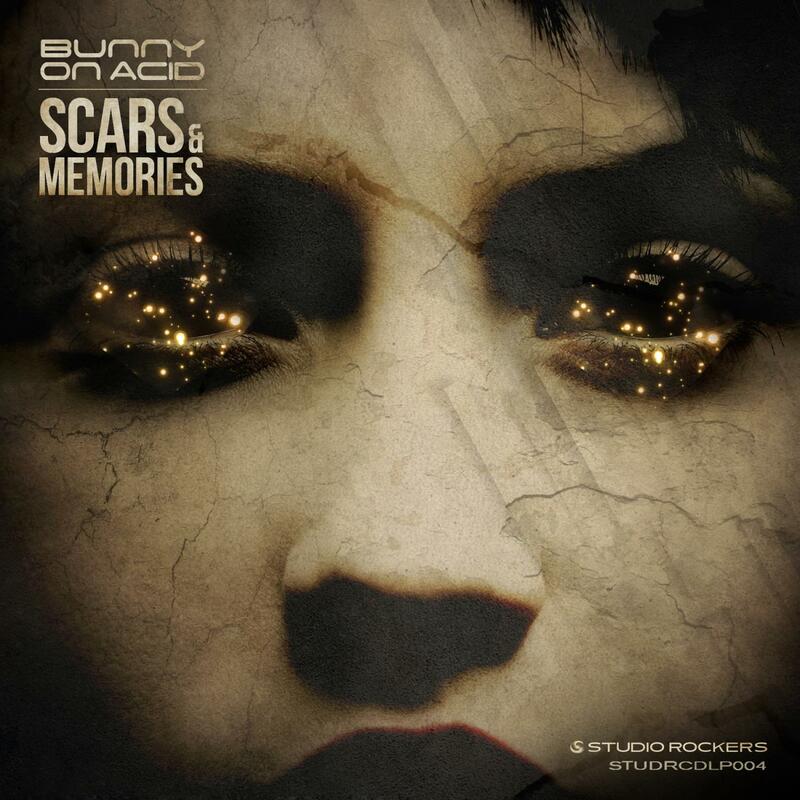 DJ / producer Bunny On Acid delivers his first full length Album "Scars & Memories". As well as his experience playing bass guitar and producing music for games, Bunny On Acid has seen releases on Botanika, Gradient Audio and Dub Fetish Records. After the release of his single "What Colours Are", the producer joins the Studio Rockers roster of LP contributors including Nuphlo, Marcel Lune and Jazzsteppa with his first full length album "Scars And Memories". The album's title track which develops with inspired chord progressions, engaging melodies and well executed percussion soaked in a soft, warming distortion. The elastic bass of "Locked" and hypnotic vocals of "It's On (Feat. Amp Fiddler)" begin to build towards the deep 808's and shimmering transitions of "Back 2 U". "A Little Bit" demonstrates a rumbling low end, entrancing motifs and tribal percussion whilst the resonant sub bass, airy cymbals and twisted vocal cuts of "In A Heartbeat" make both tracks captivating contributions to the album. "Daydream" glitches with warped drum loops and evolving pads before "Are You A Rainbow" transfixes us with an otherworldly melody which evolves underneath haunting atmospheres. Next up is "Mr Goldenberg", playground recordings combined with futuristic synthesisers and excitingly bright drum work give the track a livelier feel whilst retaining the depth of Bunny On Acid's other productions. "SVT" continues in this vein with a high frequency riffs, chopped samples and rolling hi-hats before "Thank Me Later" hits hard with intense snares and pitched vocals before sharp arpeggios are cleverly offset by sustained bass tones in "X=Y". Chilling atmospheres and gripping chord progressions, allow a mesmerising vocal to float through "What Colours Are" whilst the off-beat two step rhythms of "In Too Deep" interact elegantly with its deep tones and echoing snares. "When We Touch" is a 4/4 change of pace, steely arpeggiated synths flow within satisfyingly noisy environments to close out the album.